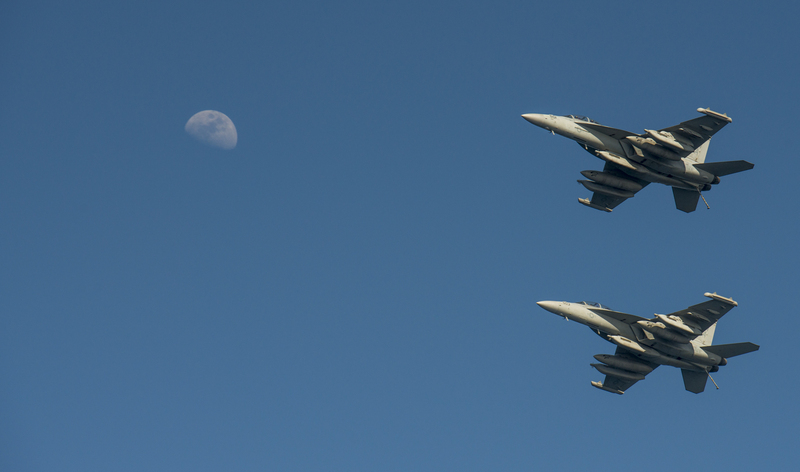 American intelligence and fighter jets are being used in Iraq to further the ambitions of the Islamic Republic of Iran. This is how it’s done. As President Obama and other senior U.S. leaders have recently observed, the northern Middle East cannot be stabilized without addressing the grievances and interests of the more than 20 million Sunnis in Syria and Iraq. Addressing the disenfranchisement of this large population will be the key to the success of U.S. policy in the region. However, the current U.S. strategy of conducting a narrow military campaign against ISIS using Iranian proxies in both Syria and Iraq is confusing to our Sunni allies in the region and to the Sunnis needed to defeat ISIS itself. At the moment, the U.S. is urging the Iraqi government to make tangible concessions to both Iraqi Sunnis and Kurds, but the U.S. is finding its recommendations subordinated to those of the Iranian regime. Tehran wields more influence over the Shia-led government of Iraq than the United States does, and this close alignment between Baghdad and Tehran is a political dynamic that ISIS and other militant groups continue to exploit for popular support. At the same time, Iran’s political influence in Baghdad is resulting in further disenfranchisement of the country’s Sunni and Kurdish populations. Moreover, the Sunni population is perplexed by our constrained role in arming them, while we partner with Shia militias that killed Americans and Iraqis during the Iraq War, and that make no distinction between all Sunnis of military age and ISIS. External Shia groups such as Asaib Ahl al Haq (AAH) and Kataib Hezbollah (KH) are directly supported, trained, and influenced by Iran. KH is also known as the Hezbollah Brigades, and is designated by the U.S. Treasury Department as a terrorist group, as well as a direct action arm of Iran’s elite Islamic Revolutionary Guards Corps–Quds Force (IRGC-QF). IRGC Commander Qassem Suleimani is on the ground in Iraq, as is AAH leader Qays Khazali and Abu Mahdi al-Muhandis of the People’s Mobilization Units (PMUs), which are also allied with Iran. At the same time, we are attacking ISIS from the air in support of these Iranian proxies. In other words, despite official denials, we are now inadvertently fighting side-by-side with Iranian forces in Iraq. CENTCOM statements that the U.S. is not coordinating directly with the IRGC and its proxy militias may be true, but I know from experience what channels are being used to pass IRGC-recommended targets to U.S. air forces: Iran-backed Shia militia commanders send them to Iraqi Security Force (ISF) commanders affiliated with the Iran-backed Badr Organization, who then pass them on to Ministry of Defense representatives in Joint Operations Centers (JOCs), where U.S. advisors place them in the targeting queue. After that, IRGC targets will be hit by U.S. bombs. This is the pattern of target development I myself witnessed in Baghdad. In fact, we tried to stop it when we were trying to counter Iranian influence in Iraq. It is a method that works for the Iranians, because it is an effective way to pass sectarian targets through legitimate channels to U.S. advisors. Suleimani and his proxies know this. We should know it too. The truth is, Iran-backed Shia militias are now our eyes on the ground in Iraq. It’s also important to remember what the ISF actually is: It is a predominantly Shia force, and heavily infiltrated by Iran-controlled proxy groups. The ground force in the current battle for Tikrit is largely composed of Shia militias operating as PMUs, led and commanded by Badr Corps commander Hadi al-Ameri. The Iraqi Security Forces number 5,000, while the PMUs stand at more than 20,000. There is no doubt that al-Ameri is running the show and there is no doubt that the IRGC is running him. Indeed, absent U.S. eyes and boots on the ground, we are essentially operating as an air force for Iran and its proxies. At the same time, the American advisory effort is trying to work with an Iraqi sectarian intelligence and security apparatus heavily influenced by Iran. In effect, the sectarian actors we once tried to sideline are now in charge of operations. This is because the U.S.’s ability to shape the ISF ended in 2009, when our troops moved “out of the cities,” withdrawing from Iraq’s major urban centers. As a result, American security forces lost situational awareness, particularly in regard to the accelerated politicization of the ISF by Shia party loyalists and the intentional dismantling of effective Sunni security initiatives. Sectarian actors within the Iraqi government were no longer constrained by American leverage. As a result, U.S. advisors are now operating in a situation where the ISF is not only predominantly Shia, but one in which Shia militias are now fighting as legitimate Iraqi forces; an environment in which Iran and its proxies’ target lists have primacy over those developed by the U.S.; one in which the U.S. can and will be portrayed by ISIS as complicit in the indiscriminate targeting of Sunnis, alienating the very Sunnis we need to fight ISIS. To deal with this situation, U.S. advisors must vet targets in order to ensure that Sunnis are not indiscriminately targeted as ISIS sympathizers. More importantly, they must accurately report the level of Iranian influence in Iraq in order to get Washington’s attention. At the moment, we are unintentionally constraining the Sunnis from taking up arms against ISIS, because we are partnering with an enemy that will remain even after ISIS is degraded. The Sunnis remember all too well being disarmed and targeted by their Shia government after defeating al-Qaeda in Iraq. The Sunnis came back, with a vengeance, as ISIS. Iran’s strategy in Iraq is simple—stay. By leaving Baghdad vulnerable to ISIS and the Sunnis of Northern Iraq, the U.S. has made the Iraqi government dependent on Iran for its survival. After all, Iran is their neighbor and isn’t going anywhere. 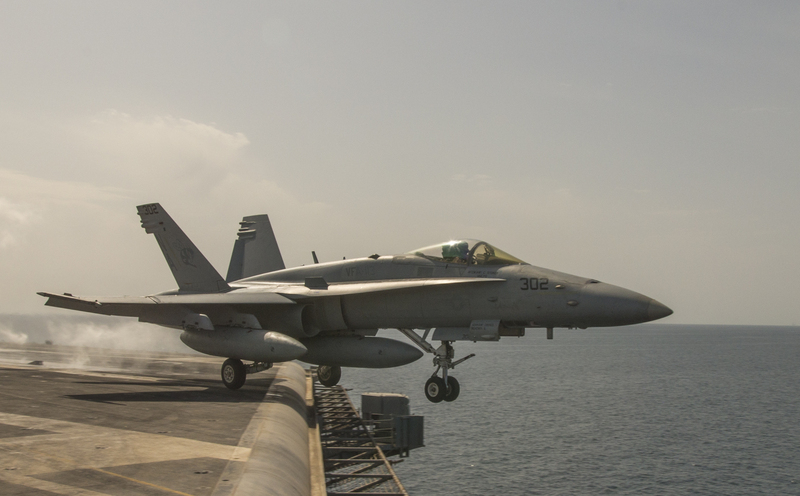 At the same time, America’s close air support of Iranian-led militias will likely make the U.S. complicit in the indiscriminate targeting of Sunnis and further push them into armed resistance against what they perceive as an Iranian threat to Sunni areas. The best thing the U.S. can do, then, is stay out of the battle for Tikrit in order to discover what it really means to allow the IRGC a leading role in Iraq. If we stay out, we can attribute heavy-handed tactics to Suleimani—the same ones used by the Assad regime against civilian targets in Syria. If we stay out, we can build a case that Iran is not a responsible partner in the ISIS fight and that we are giving IRGC carte blanche to do things out in the open that they used to do in the shadows. If we participate, however, we must do so on the condition that Shia militias and IRGC play no further role in the operations. Unfortunately, we do not have the leverage to do so. Nor does the Iraqi government. ISIS is having unexpected success due to the relationships we are forging in this fight. The U.S. is now inadvertently enabling Iran’s marginalization of both Shia and Sunni nationalists. 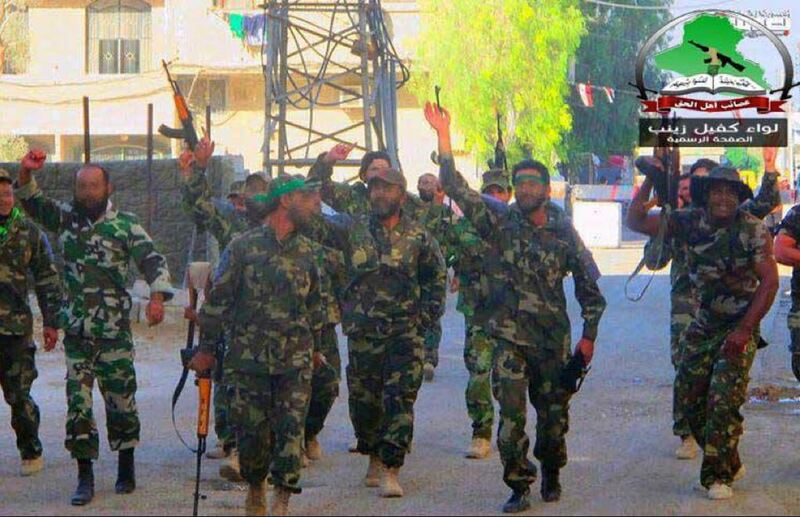 As a result, Sunnis will turn to armed resistance, not because they support ISIS, but because they will see it as a defense of Sunni territory against a Shia threat led by Iran and supported by the U.S.
Reports that U.S. reconnaissance flights have begun over Tikrit in support of Iranian-led Shia militias with ISF and Sunni tribes in reserve are deeply troubling. Reconnaissance flights will generate targets when those targets are static. As a result, these targets will have to be generated by eyes on the ground—the eyes of Suleimani, al-Ameri, and al-Muhandis. While U.S. commanders will use reconnaissance flights over Tikrit to develop targets in support of ISF-only operations, they will in fact be supporting IRGC, Badr, and Kataib Hezbollah operations. One tactic used in these operations thus far is for Shia militia commanders to call in U.S. airstrikes via ISF commanders on the ground, when it is the ISF that should be doing so directly. Used this way, the ISF is simply a conduit to recommend IRGC and militia targets to U.S. advisors at the JOCs, where legitimate lines of communications have been established. Absent U.S. advisors on the ground calling in targets, the JOCs will be forced to trust that these are legitimate targets generated by the ISF and not by IRGC. Such methods are not limited to the fight against ISIS. Shia militias and the Iraqi government have also gone after political and opposition targets under the guise of attacking ISIS and terrorism at large. These operations target charismatic Sunni leaders and those who by relation are former Ba’athists under Iraq’s Accountability and Justice Law, as well as Sunni males of military age who will be labeled collaborators and ISIS sympathizers. One need only look to the cities of Baghdad, Amerli, Jafr al-Sukr, and, for that matter, Tikrit for evidence of such operations. Iran was active in Iraq during the U.S. occupation in a similar way. 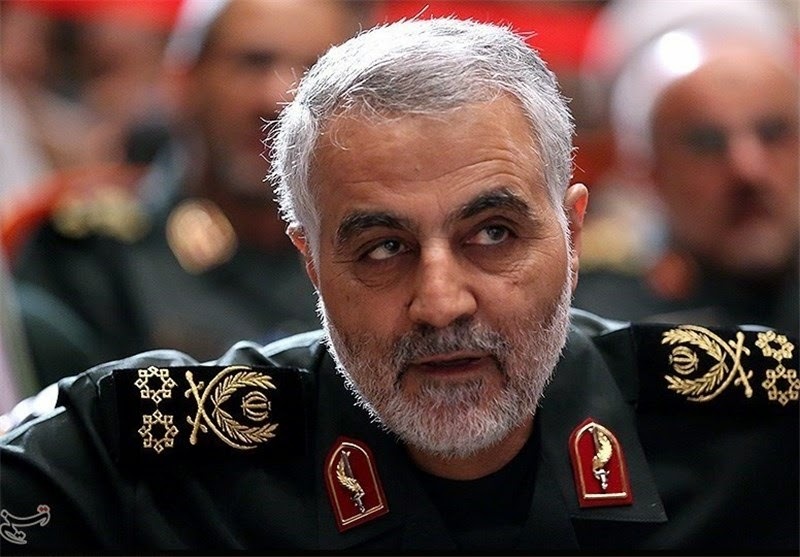 Suleimani’s IRGC had a target list then, though they had to operate in the shadows. Now they are out in the open and receiving close air support from the U.S.
Back then, their target list included Iraqi Air Force pilots from the Saddam era, as well as new pilots, regardless of sect. It included commanders from the Iran-Iraq War and emerging Sunni commanders willing to fight both al-Qaeda and Shia militias. The targeting campaign was facilitated by Iran-backed militias and their representatives in the security and intelligence apparatus. Shadow command structures were set up to facilitate sectarian targeting, using the legitimacy of Iraqi uniforms and affiliations with Iraqi ministries. Again, this took place in the shadows. This strategy expanded to include providing Shia militias with Explosive Formed Penetrators and Improvised Rocket Assisted Munitions to target U.S. armored vehicles and bases. These actions were a direct reflection of Iran’s use of IRGC-aligned Shia militias to attack American forces in the hopes of accelerating the U.S. withdrawal, while increasing Iran’s ability to project power and influence over the Iraqi government. It is necessary to look clearly at the situation we have arrived at. In 2010, a report of Suleimani on the ground in Iraq would have meant a wake-up call to the U.S. president. Now Suleimani is leading victory parades after taking back areas from ISIS. Five years ago, IRGC was killing Americans through its proxies in Iraq. Now we are providing them air cover as they push into the Sunni heartland to settle scores dating from as far back as the Iran-Iraq War. ISIS presents an extraordinary opportunity for Iran to increase its influence over the government of Iraq. And let’s not kid ourselves. Iran has no interest in defeating ISIS in Iraq or in Syria. It needs the ISIS threat to Baghdad and Damascus in order to make both capitals dependent on Iran for their survival. Iran had no intention of improving the security situation in Iraq during the U.S. occupation, and to think it has changed now is naïve. All we are seeing now is an accelerated, concerted effort by Iran to get everything it can while Washington is looking the other way. And Washington has to look the other way, because it’s hard not to notice that the IRGC is now operating out in the open. Qassem Suleimani and Abu Mahdi al-Muhandis are celebrated and deferred to by Hadi al-Ameri, the commander of the PMUs. In effect, an Iranian proxy commander is now leading an Iranian proxy force. How quickly we forget who this enemy is and who the militias on the ground are. They are the same actors that intimidate and kill Iraqis and Iranians when they try to fight back. They are the same actors that killed Americans and effective Iraqi nationalist commanders less than six years ago. Now, the U.S. is looking the other way as bombs drop on IRGC-generated targets. Why is all this happening? Put simply, the U.S. is hamstrung by its desire to cut a deal with Iran on its nuclear program. Washington likely fears that any attempt to curb Iran’s influence in Iraq will derail an upcoming deal. One would think that this, in and of itself, makes such a deal a bad one; but many in the current administration appear to feel otherwise.